It is clear that water is one of the essential substances for living system and it is necessary for human survival on the earth. The quality of water is determined by many factors such as physical, chemical or biological parameters. Water that doesn’t meet the requirements should be treated. Some of the major methods used in water treatment are dissolved air flotation, covering of basins and filters, ozonation, coagulation/flocculation, copper sulphate and potassium permanganate, aeration, bubble curtains, pulsed sludge blanket clarification, ozoflotation, catalytic processes, advanced oxidation processes. In addition to these methods, new techniques that are less harmful on environment and cost effective have been studied. Use of ultrasound is one of the recently applied techniques. The main characteristics of the ultrasound is its frequency which is 20,000 Hz (20 kHz) or above. The working principle of the ultrasound is the local high temperature, pressure and free reactive species accompanied with cavitation phenomenon. Since it doesn’t cause a secondary pollution it is named to be an environmental-friendly application. It is also considered to be a highly efficient technique. It is one of the best methods used to avoid secondary water contamination caused by algal blooms, bacterial contamination and waste materials. Efficiency of this method on aquatic pollution and algal growth vary depending on the frequency, power, and applied time. Efficiency rate may vary also depending on the use of this technique along with some other agents (H2O2, TiO2, UV, ClO2, O3, Fenton process etc.). In this study, application and efficiency of ultrasound that is in the process of development was discussed. As a result, use of ultrasound technique in aquatic algal control, bacterial contamination and removal of other pollutants were discussed. Su, organizmaların hayatta kalabilmesi için ihtiyaç duyulan etmenlerin başında gelir. İhtiyaç duyulan suyun kalitesi fiziksel, biyolojik ve kimyasal birçok parametre doğrultusunda belirlenir. Gerekli parametre özelliklerini sağlamayan suların arıtılması gerekmektedir. Su arıtılmasında genel olarak kullanılan yöntemlerden bazıları çözünmüş oksijenle havalandırma, havuz ve filtrelerin kaplanması, ileri oksidasyon süreçleri, ozonlama, bakır sülfat ve potasyum permanganat kullanımı, koagülasyon / yumaklaştırma, baloncuk bölünmesi, koyu çamurun darbeli berraklaştırılması, havalandırma, ozonlu yumaklaştırma ve katalitik süreçtir. Bu yöntemlere ek olarak çevreye daha az zarar veren ve maliyeti düşürmeyi hedefleyen çeşitli yöntemler araştırılmaya başlanmıştır. Son zamanlarda kullanılmaya başlanılan yenilikçi yöntemlerden biri de ultrases uygulamasıdır. Ultrasesin özelliği, dalga frekansının 20.000 Hz (20 kHz) ve üzerinde olmasıdır. Ultrasesin temel çalışma prensibi ise kavitasyon fenomenine eşlik eden lokal yüksek sıcaklık, basınç ve serbest reaktif radikal türlerin oluşmasıdır. İkincil bir kirliliğe neden olmaması sebebiyle çevreci bir uygulama olarak adlandırılır. Yüksek etkinlikte bir yöntem olarak kabul görür. Ultrases, alg patlamaları, bakteriyal kontaminasyon ve atık maddelerin sularda ikincil bir kirliliğe yol açmadan arıtımı için en uygun yöntemlerden biridir. Sesin frekansı, gücü ve süresine göre sucul kirliliğe ve alg büyümesine olan etki yüzdesi değişmektedir. Etkinlik oranı aynı zamanda başka temizleyicilerle (H2O2, TiO2, UV, ClO2, O3, Fenton süreci v.b.) birlikte kullanımda da genel olarak değişmektedir. Çalışmamızda, geliştirilme sürecinde olan ultrasesin kullanımı incelenmiş ve etkinlik değerlendirilmesi yapılmıştır. Tüm bunların sonucunda, ultrases tekniğinin sudaki alg kontrolü, bakteriyal kontaminasyon ve diğer kirleticilerin temizliğindeki kullanımının yaygınlaştırılmasının önerilebilirliği tartışılmıştır. Angus, T H., 2015. Examining the Toxicity, Exposure, and Regulatory Approach to Potential Human Health Risks of the Algal Toxin Domoic Acid. Graduate Doctoral Dissertations. Paper 201. Ayyıldız O., Sanık S., İleri B., 2011. Effect of ultrasonic pretreatment on chlorinedioxided is infection efficiency. Ultrasonics Sonochemistry, 18: 683-688. Bishop W.M., Willis B.E., Horton C.T., 2015. Affinity and Efficacy of Copper Following an Algicide Exposure: Application of the Critical Burden Concept for Lyngbya wollei Control in Lay Lake, AL. Environmental Management. Volume 55(4): 983-990. Bozhi M.,Yifang C., Hongwei H., 2005. Influence of ultrasonic field on microcystins produced by bloom forming algae. Colloids and Surfaces B: Biointerfaces, 41: 197-201. Duckhouse H., Mason T.J., Phull S.S., 2004. The effect of sonication on microbial disinfection using hypochlorite. Ultrasonics Sonochemistry, 11: 173-176. Gomez-Lopez M.D., Bayo J., Garcia-Cascales M.S., 2009. Decision support in disinfection Technologies for treated wastewater reuse. Journal of Cleaner Production, 17(16): 1504-1511. Guo Z.H., Gu C.H., Zheng Z.H., 2006. Sonodegradation of halomethane mixtures in chlorinated drinking water. Ultrasonics Sonochemistry, 13: 487-492. Haarhoff J.,Edzwald J.K., 2004. Dissolved air flotation modelling: In sights and short comings. Journal of Water Supply Research and Technology - AQUA, 53: 127-150. Hao H.,Wu M., Chen Y., 2004. Cyanobacterial bloom control by ultrasonic irradiation at 20 kHz and 1.7 MHz. Journal of Environmental Science and Health - Part A Toxic/ Hazardous Substances and Environmental Engineering, 39: 1435-1446. Joyce E., Phull S.S., Lorimer J.P., 2003. The development and evaluation of ultrasound for the treatment of bacterial suspensions. A study of frequency, power and sonication time on cultured Bacillus species. Ultrasonics Sonochemistry 10: 315- 318. Kommineni S.,Amante K., Karnik B., 2009. Strategies for Controlling and Mitigating Algal Growth within Water Treatment Plants. Water Research Foundation, Denver, Colorado, USA. Lee T.J., Nakano K., Matsumura M., 2002. A novel strategy for cyanobacterial bloom control by ultrasonic irradiation. Water Science and Technology, 46: 207-215. Mahvi A.H., Dehghani M.H., 2005. Evaluation of ultrasonic technology in removal of algae from surface waters. Pakistan Journal of Biological Science, 8: 1457-1459. Masschelein W.J., 2002. Ultraviolet Light in Water and Wastewater Sanitation. Lewis publisher, USA. Mendez-Arriaga F., Torres-Palma R.A., Petrier C., 2008. Ultrasonic treatment of water contaminated with ibuprofen. Water Research, 42: 4243-4248. Michael C., del Ninno M., Gross M., Wen Z., 2015. Use of wave length-selective optical light filters for enhanced microalgal growth in different algal cultivation systems . Bioresource Technology, 179: 473–482. doi:10.1016/j.biortech.2014.12.075. Pino-Querido A., Álvarez-Castro J.M., Guerra-Varela J., Toro M.A., Vera M., Pardo B.G., Fuentes J., Blanco J., Martínez P., 2015 Heritability estimation for okadaicacid algal toxin accumulation, mantle color and growth traits in Mediterranean mussel (Mytilus galloprovincialis). Aquaculture 440: 32–39. doi:10.1016/j.aquaculture.2015.01.032. Pozos N., Scow K., Wuertz S., 2004. UV disinfection in a model distribution system: biofilm growth and microbial community. Water Resources, 38: 3083-3091. Qiu Y.J., Yang F., Rong F., 2011. Degradation of Microcystins by UV in the Presence of Low Frequency and Power Ultrasonic Irradiation. Measuring Technology and Mechatronics Automation (ICMTMA), 2011 Third International Conference. Sayadi M.H.,Ghatnekar S.D., Kavian M.F., 2011. Algae a promising alternative for biofuel. Proceedings of the International Academy of Ecology and Environmental Sciences, 1(2): 112-124. Sekiguchi K.,Sasaki C., Sakamoto K., 2011. Synergistic effects of high-frequency ultrasound on photocatalytic degradation of aldehydes and their intermediates using TiO2 suspension in water. Ultrasonics Sonochemistry, 18: 158-163. Shah A.D., Liu Z.Q., Salhi E., Hofer T., Werschkund B., vonGunten U., 2015. Formation of disinfection by products during balast water treatment with ozone, chlorine, and peraceticacid: influence of water quality parameters. Environ. Sci. :Water Res. Technol.1: 465-480. DOI: 10.1039/C5EW00061K. Shimizua N., Ninomiya N., Ogino C., 2010. Potential uses of titaniumdioxide in conjunction with ultrasound for improved disinfection. Biochemical Engineering Journal, 48: 416-423. Stapleton D.R., Emery R.J., Smith C., 2005. Degradation of 2-chloropyridine in water by ultraviolet and ultrasound irradiation. International Journal of Environment and Pollution, 28: 87-98. Rataja T., 2015. Phosphorus removal using a microalgal biofilm in a new biofilm photobioreactor for tertiary wastewater treatment. Water Research. 71: 55-63. doi:10.1016/j.watres.2014.12.049. Tang J.,Wu Q., Hao H., 2003. Growth inhibition of the cyanobacterium Spirulina platensis (arthrospira) by 1.7 MHz ultrasonic irradiation. Journal of Applied Phycology, 15: 37-43. Thangavadivel K., Megharaj M., Smart R., 2009. Application of high frequency ultrasound in the destruction of DDT in contaminated sand and water. Journal of Hazardous Materials, 168: 1380–1386. Toor R., Mohseni M., 2007. UV-H2O2 based AOP and its integration with biological activated carbon treatment for DBP reduction in drinking water. Chemosphere, 66(11): 2087-2095. Yang Y.,Peng D., 2011. Using Combined Ultrasound and Zeolite-GAC Filtration Lab-Scale Process for Pre- Treating Micropolluted Water. 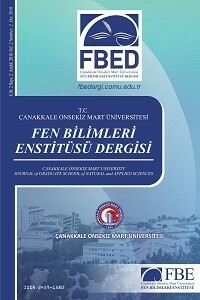 Bioinformatics and Biomedical Engineering, (iCBBE) 2011 5th International Conference.